This year marks the 100th anniversary of the end of WWI. In partnership with the Royal British Legion we say Thank You to all that served, sacrificed and changed our world. The railway, and its workers, played a crucial role in WWI. When Britain declared war on Germany, it was trains that enabled efficient movement of the British forces, and equipment, between France and the Home Front. The trains transported troops, rations, coal, water and artillery across Britain and across Europe in a way never previously seen. Small railways were as vital to the War effort as main routes. Some such as the 5-mile Sheffield District Railway transported guns and munitions. Others had unique access to quarries, crucial for transporting coal and minerals. The whole network played its part. British railway companies turned trains into hospitals with medical facilities both in Britain and abroad. Ambulance trains became the primary way to transport sick and injured troops, both in Britain and on the continent. On board an ambulance train, operating theatres were fitted, the theatres were tiled floor to ceiling to ensure better hygiene. Despite the swaying and vibrations of the moving train, surgeons would perform emergency operations mid-journey. If you’re interested in seeing an ambulance train first hand then take a trip to The National Railway Museum in York where you can see this and over 300 years of history. On Remembrance Sunday, 11 November, film director Danny Boyle will invite people across the UK to travel to one of 32 nominated beaches at low tide to take part in a national moment commemorating the centenary of Armistice. The event, called Pages of the Sea, is commissioned by 14-18 NOW, the UK's arts programme for the First World War centenary. You can find out if it’s coming to a beach near you here. 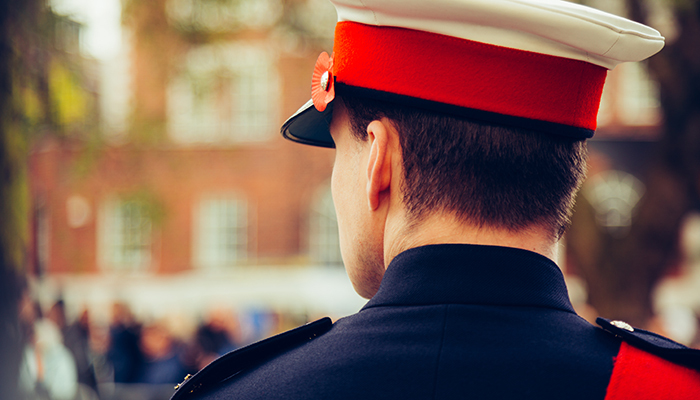 If you’re planning on travelling to a Remembrance event on Saturday 10 or Sunday 11 November make sure you check before you travel here.